When Subaru started to produce high performance road sedans like the WRX and STI, with their balanced weight distribution and symmetrical All Wheel Drive, the potential for competitive motorsport applications was immediately recognised. Even in stock form the WRX or STI, with 180 to 200 KW at the flywheel, was a pretty quick sort of car straight off the production line. But drag racing, and rally applications saw tuned engines putting out 500 Kw or more at the wheels, and under this kind of load the stock gearboxes had an expensive habit of breaking, especially in 2nd and 3rd gears. The STI 6-speed boxes were considerably stronger, but still not up to this kind of punishment. All Subaru mass produced gearboxes use helical synchromesh forged gears, which are quiet and easy to operate. However, under the loads imposed by motorsport applications, they are not strong enough. 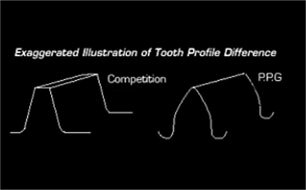 Redesigned gear tooth profile: One way is to change the tooth profile from helical to straight cut gears and from synchromesh to “dog engagement” to allow quick shifting at high loads and RPM. This type of gearbox is used without the clutch being disengaged, and typically makes a crunching noise between gears. Shifts are very fast. 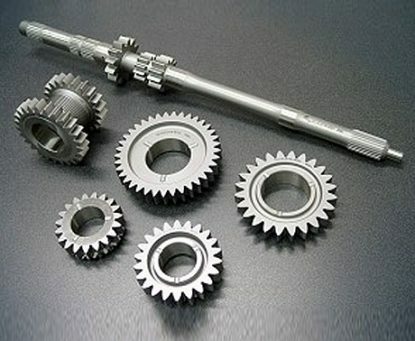 Bigger, stronger gears: With straight cut profiles gears can be made much larger, and proportionately stronger and with the straight cut design, power is transferred more efficiently. 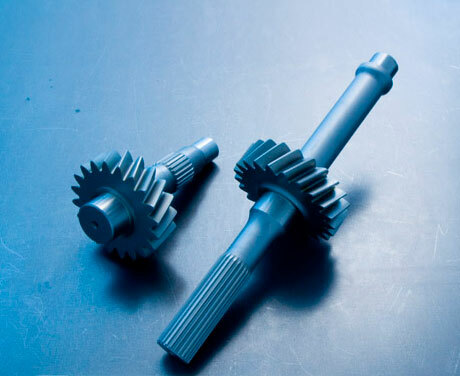 Helical cut gears can also be redesigned and made larger. 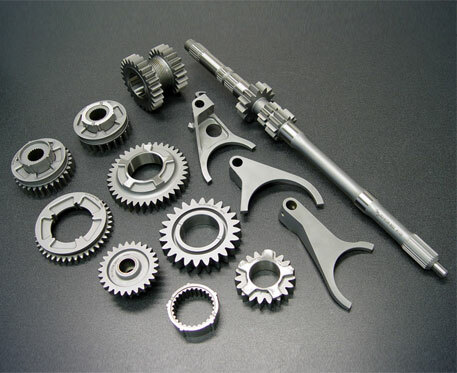 EN36A Billet steel: The third way is to produce a stronger box by using billet steel to make the gears. The process is complex, but the steel is much stronger. 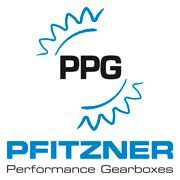 For the strongest possible box, you can make bigger gears, straight or helical cut, using only top quality billet steel, which is where Pfitzner Performance Gearboxes (PPG) have stepped in. Pfitzner Performance Gearboxes was founded in 2000, and is the fastest growing, most successful automotive gear engineering company in Australia, with an international reputation for strong competition gearboxes for all marques, an impressive string of race wins to their credit, and annual revenue of close to $3 million from 11 employees, selling to specialist niche motorsport markets. This success is based on the reputation of their products for strength and reliability. 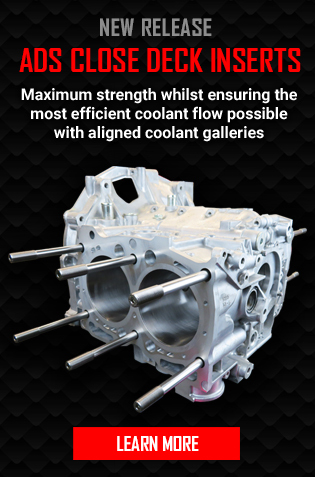 PPG produce a range of gearbox configurations from pure billet steel straight-cut dog engagement boxes for extreme racing applicators, to helical synchro billet steel gearsets that are smoother and quieter than OEM but twice as strong. And more recently PPG have developed a sequential six speed dog-engagement box for racing applications. 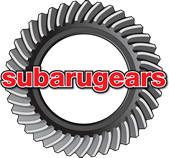 All ADS/PPG gearboxes are made using high quality billet steel gear sets and are much stronger than the OEM Subaru products, even in helical cut, synchromesh configurations. 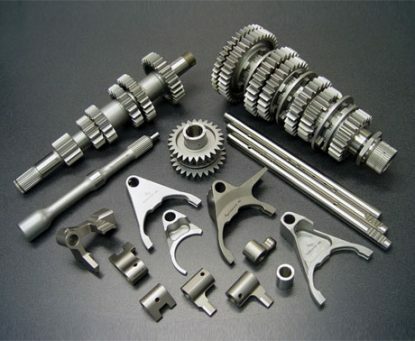 There is a range of sporting applications, from flat-out drag racing to rally driving to club circuit weekend derbies, and a range of motorsport gearboxes to suit, from the super-strong billet steel straight cut “dog box” to billet steel helical synchro gearboxes, or various combinations of these. All Drive Subaroo (Subaru Gearboxes Australia) have teamed with Pfitzner Performance Gearboxes (PPG) to produce and assemble a range of motorsport billet gearboxes to suit all Subaru applications. All of these options are in stock, or we can build a custom box to your requirements. 1-5 billet helical or straight cut gears using the latest revised PPG tooth profiles. Strength and reliability start with attention to detail. Look at the close attention paid to the machining on the hardened edges of the dog ring profiles. Even a high quality billet gearbox will eventually wear out of course, and as reliable as they are, they occasionally need repairs. But given the very high quality of PPG assembled gearboxes, repair becomes a much more viable option than it is with a standard OEM box. Even broken gears can be replaced. If you’ve got a noise, or some operational problem with your PPG gearbox, depending on the mileage your gearbox has covered and the nature of the problem it may be a viable option to simply replace some components and get you back on the road cheaply and quickly. To decide if repair is a good option for you need to first get an expert assessment. Components like bearings, synchro rings, forks and sliders can be replaced leaving the original PPG gear set and other parts in place. The trick is to determine if, overall, your gearbox will be reliable in the long term after repair. 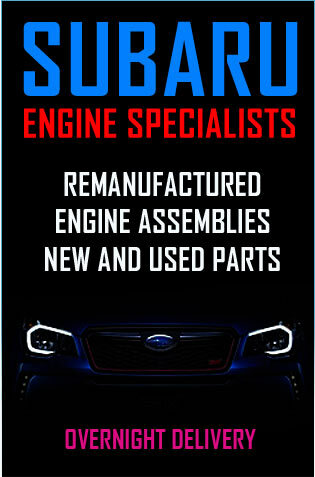 The team at All Drive Subaroo have had over ninety years of combined specialist Subaru gearbox repair and manufacture, and it’s safe to say that no one in this country knows more about Subaru transmissions than we do. Obligation free assessment and reporting. Fastest turn-around repair times in the business, often same day service. Gearboxes can be dismantled while you wait, giving you the opportunity to check the damage for yourself and get expert consultation. 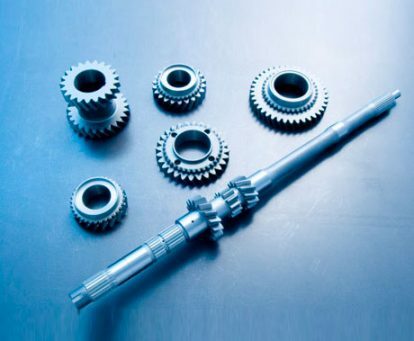 Specialist gearbox team who work exclusively on Subaru gearboxes, and if you decide to proceed after our free assessment and quote, our trained technicians will keep you informed at all stages of the process. Every stage of your repair logged on a job card, nothing is left to chance. For the driver who needs a strong gearbox combined with the driveability and reliability of a stock gearbox, this is a good option. With super strong PPG billet helical synchro gear set from 1st to 4th and the stock 5th gear, this option increases the power rating of 1st to 4th gears to 300 Kw while retaining factory level driveability and smooth quiet operation. This option can be used for club circuit racing, hill climb events, and a variety of other motorsport applications, while providing a smooth quiet driving experience for day to day motoring. A great upgrade for the enthusiast, who is not necessarily a full time race driver and needs a car that can withstand spirited driving while still being suitable for the daily commute and family outings. With synchro straight cut gears, and stock 5th gear, your car will drive as smoothly as stock, but with the characteristic whine of a dog box from 1st to 4th and enhanced power transfer efficiency. Of course the straight cut gears will absorb much more power than the stock helical gears. See our optional PPG billet selector forks and front LSDs. Next down the list is a partial compromise between all-out motorsport and street use, with close ratio dog engagement gears from 1st through to 4th but retaining the stock WRX 5th gear. Primarily this box would be used for drag racing, and high performance street racing or rallying. The disadvantages with this box are that the straight cut gears are very noisy, and not nearly as long-wearing as helical cut synchro gears. This box is good for drag racing, (used in cars that run under 9 second times), competitive circuit racing and high-level rallying. The straight cut gears from 1st to 4th are virtually unbreakable and can handle up to 500 kw of power at the wheels. This is the strongest 5-speed option available. It comes with a quick-changing short-throw action, and can handle up to 520 Kw at the wheels. Because the gears are straight cut the power engagement is direct with minimal power loss. Because there are no synchros taking up space the gears can be made larger and stronger. Shifts are fast, and clutch-less. The dog engagement box is super-strong and virtually unbreakable and is used for all-out drag racing and other extreme applications. However this type of box wears faster than a stock helical synchro box, and is a lot noisier. Enthusiasts generally don’t mind the whining noise of a dog box transferring 700 horsepower, but overall, it’s not the best option for daily street use. 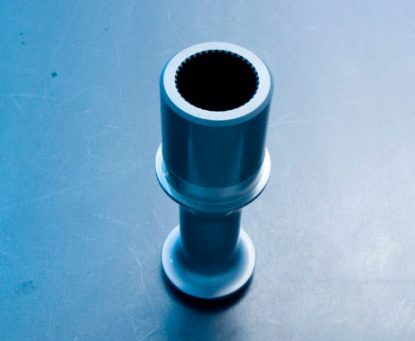 Billet Selector Fork solutions offer significant increases in strength over standard alloy items. 1/2 selector fork: Please refer to "PDF Price list" for pricing. 3/4 selector fork: Please refer to "PDF Price list" for pricing. 5/R selector fork: Please refer to "PDF Price list" for pricing. This device prevents dual gear selection which can occur due to the factory design of the Subaru gearbox, combined with the instant gear selection benefits of dog engagement. 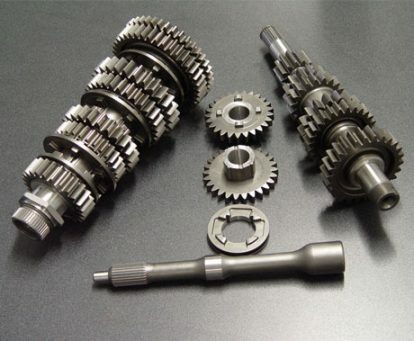 A must-have for anyone purchasing a dog engagement gear set for Subaru 5 speed gearbox. 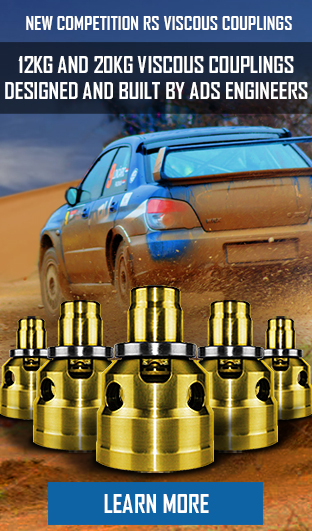 The PPG 1st to 5th set for the 6 speed WRX gearbox is fully FIA Group N rally compliant and is commonly used by top Group N rally vehicles as well as track day, circuit racing and Autocross cars. Drivers of cars equipped with this gear set have stood on the podium in Rally of New Zealand, China Rally, Asia Pacific Rally, Japan Rally and Rally America events. 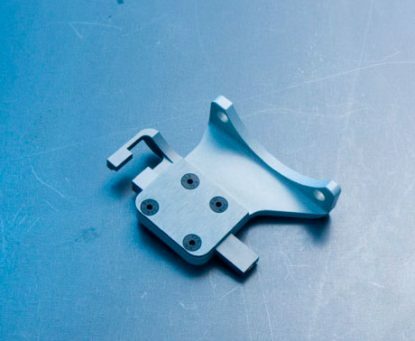 Their success is down to the attention paid to detail from design to assembly. Minute considerations such as curved dog engagement ring radiuses, and all-new gear profiles ensure the strongest possible gear sets, and minimise the chance of failure. When you want to leave nothing to chance, and you aim to finish first, this is the gearbox for you. The PPG 1st to 6th set to suit 6 speed WRX gearbox replaces all stock gearbox internals with high quality billet steel PPG components and is fully FIA Group N rally compliant. This setup is commonly used by Group N rally vehicles as well as track day, circuit racing and Autocross cars. The PPG 1st to 4th set to suit the 6 speed casing is a drag racing specific set. Featuring huge gears rated at over 1000hp , this set is the perfect drivetrain upgrade for manual transmission powered Subarus heading into the 8 second ET bracket when drag racing. All the other assemblies utilise the standard H-pattern shift sequence. Now a sequential shift option is available in a six-speed dog-engagement box to add more speed and precision to shifts. For the ultimate in high speed performance on the circuit, on the street or the strip this is the apotheosis of manual gearbox technology. The six-speed dog engagement sequential gearbox is a joy to operate and can handle all the power you want to throw at it. Go hard with no fear. We also offer a variety of front and center diff options to suit individual needs. The Torson centre diff is a high-horsepower rated item that offers significant increases in traction on uneven and broken surfaces. For 1999 and onwards. Please check type and year before placing any orders. These gears complement a bulletproof ADS/PPG Subaru gearbox to be used for extreme applications such as drag racing with power transfer in excess of 500 Kw at the wheels. PPG offers two different rear wheel drive conversion spools for 5 Speed WRX gearboxes. Please specify early (pre-99) or Late (99-) when ordering. This product has been reliably used in top level drift cars under punishing conditions. ADS and PPG make a natural partnership. 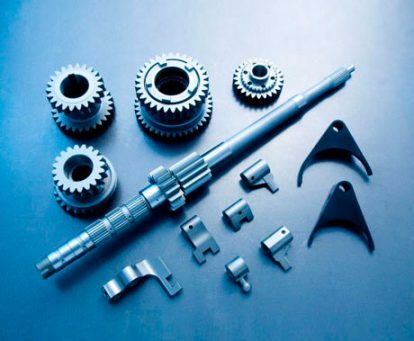 We understand gearboxes and the needs of our customers, and PPG provide the solutions, with a wide range of quality products. Because we have such a variety of customers with such different needs, from family transport to rally racing, we have developed a line of ADS assembled PPG gearboxes to meet requirements ranging from longevity to increased power. The PPG range of gear sets ideally complements our own gearbox designs, from the ADS hybrid 5-speed upgrade box to the 6 speed STI conversion. With PPG we can go still further with custom engineered dog engagement boxes, synchro or non-synchro, and super-strong helical cut synchro gear sets. 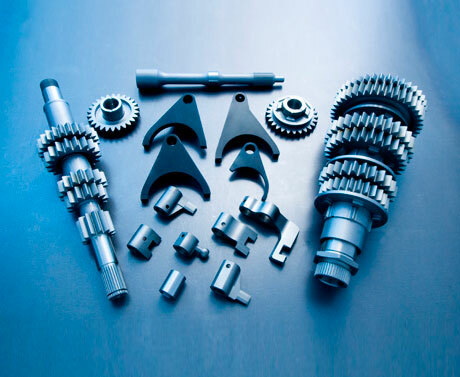 Very early on, we found that there are many performance parts suppliers and gearbox repairers around the world who sell cheap, inferior products marketed as premium. It’s our philosophy to make sure that our products are truly the best available. In production too we aim to be the best. All Drive Subaroo don’t just put gearboxes together like Lego blocks. We’ve carefully thought out all our setups, and spent hundreds of hours of building and testing to produce the optimum in performance potential and durability. All Drive Subaru have assembled the most highly skilled group of Subaru techs in the country, together with the finest facilities available outside the dealer network. 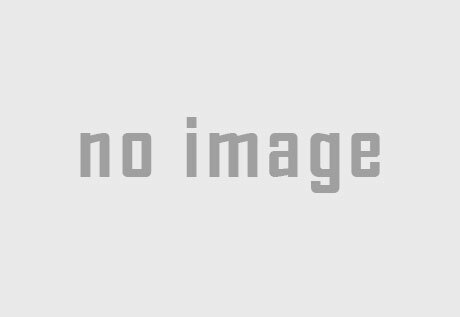 Our crew have been trained in different specialist areas, and we know more about Subaru OEM and after-market gears than the dealers, who bring any such jobs to us. We don’t just sell gearboxes, we also offer technical support and assistance throughout the process and afterwards. Before you commit to a replacement gearbox, we can talk you through all the available options. Once you’re back on the road, we are ready to assist with any questions you might have. 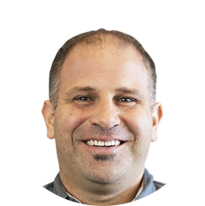 Everyone at ADS is an experienced technician or an auto engineer. We have one of the best equipped Subaru workshops in the country, and can handle any job, big or small. This means you can count on us to build and install your gearbox with seamless efficiency and the best warranty in the business. If we do the installation, the warranty covers both parts and labour, and we take particular care in installation. Our reputation depends on your satisfaction. We can also ship your PPG gearbox nationally or internationally at very competitive rates to the repairer of your choice, using TNT Transport.